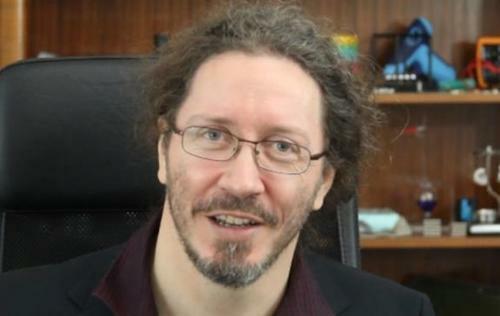 The name "Thunderf00t" is the alias of Phil Mason, a British chemist and video blogger who has become well-known for posting YouTube videos that criticize, among other things, pseudoscience. His day job is as a scientist in the field of chemistry and biochemistry at the Academy of Sciences of the Czech Republic. His tongue in cheek, yet starkly accurate criticisms, have earned him nearly 850,000 subscribers on YouTube and an aggregate total of more than 220 million views. With a penchant for outing nonsense, it was only a matter of time before he criticized Elon Musk's Boring Company tunnel reveal in a scathing and satirical video posted to YouTube just days ago. In the video, Mason begins by laying out the long and storied history of humans in history not only creating tunnels like Musk has pitched - but also creating self landing reusable rockets, another claim to Musk's fame. In the video, Mason lays out the case that underground tunnels, similar to the one that Musk has pitched as the future, have actually been around for nearly 100 years. From there, he goes on to point out that reusable self-landing rockets have also been around for decades. Musk's contributions to rocketry, Mason says, have been overstated by about "a factor of 100 times". Amidst comparisons to the Simpsons "monorail guy", Mason takes a deeper dive at the proclaimed cost savings of Musk‘s tunnel – said to be built for just $10 million a mile - versus "normal" tunnels, which Musk has said repeatedly can cost up to $1 billion per mile. Of course, some tunnels do cost up to $1 billion per mile, Mason points out – when they include fully functional metro lines and state-of-the-art metro stations. These tunnels are larger than Boring Company tunnels and contain significantly more infrastructure. Mason then goes on to note that the type of tunnel Musk is digging, 12 feet around with no infrastructure in it, can easily be made for about $15 million to $20 million per mile. This is a far cry from the nearly 99% cost savings that Musk seems to be trying to pitch to the public. From there, Mason goes on to compare the cost of these tunnels to the cost of laying six lanes of freeway per mile, which comes in well under $10 million, displaying the cost efficiencies that likely make freeways the more obvious choice. He also goes on to explore the inefficiencies of the elevators that are proposed to be used moving cars underground, and then back above ground, for Musk's tunnels. "Blow me!" Mason exclaims at one point in the video, before continuing "Elon Musk's revolutionary tunnel is comparable to the average cost of digging a tunnel. So much for making tunnelling 100 times more efficient." "There is no revolution here," he concludes. "Let's be honest here: he's driving a car through a sewer pipe." The video is a must watch for any skeptic or anybody that badly needs a dose of reality. In that respect, we recommend Musk himself give it a watch.